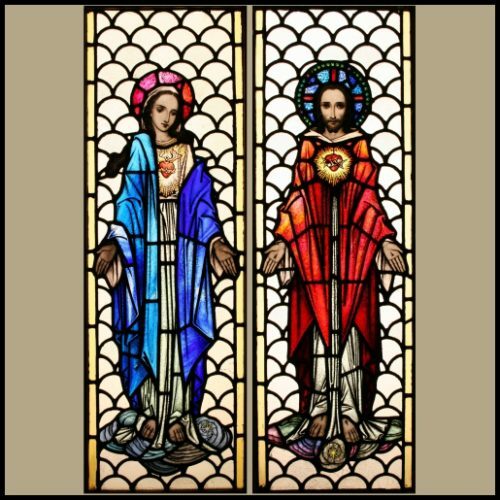 Pair of religious stained glass windows, each leaded and hand painted depicting full length figures of Mary and JC. 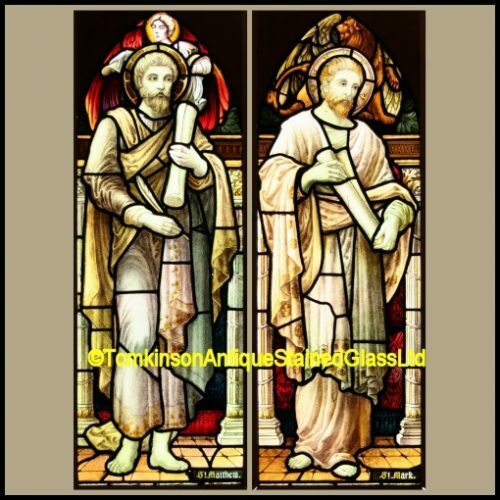 Each figure is set within scalloped shaped obscure glass. 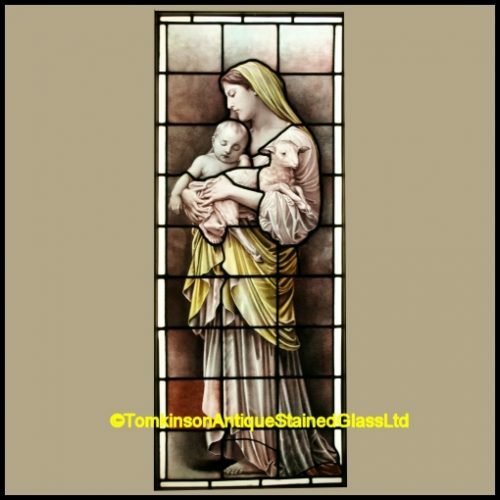 Super quality and with both windows in excellent original condition. 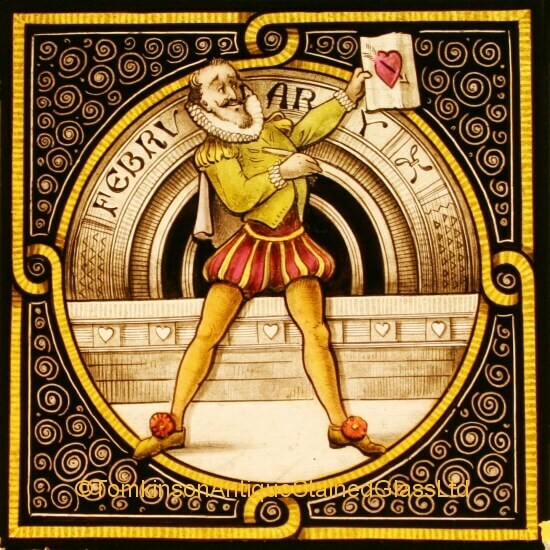 of ecclesiastical art during the Gothic revival of the 1800s and the building of Catholic Churches which flourished in the first half of the 20th century. 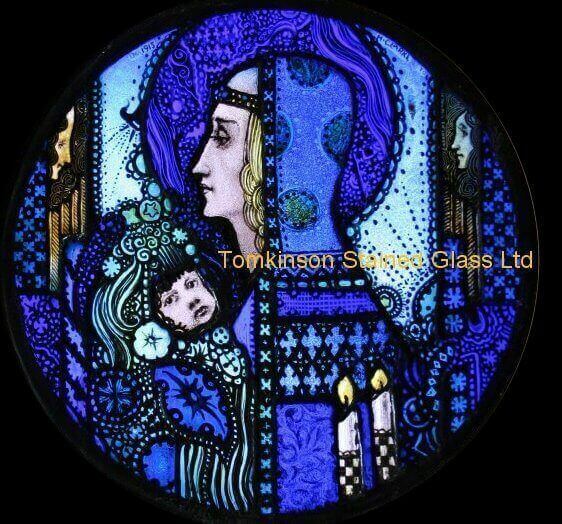 At this time, the Earley studios were heavy influenced by the work of Irish Arts & Crafts artist Harry Clarke, using “Antique streaky” glass in rich deep colours, thick black paint lines, acid etching and stylised, often elongated, figures with sharp features. 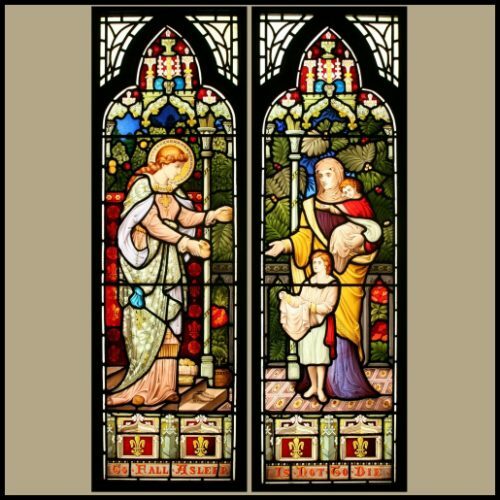 These windows were removed from the chapel of St Winifred’s Nursing Home, Cardiff, Wales, prior to demolition.